Welcome to Prevost RV For Sale the ultimate source for finding Prevost coaches, motorhomes and buses for sale across the United States and Canada. PrevsotRVForSale.com focuses on displaying various motorhomes for sale that were produced by Prevost, or based on a Prevost touring coach / bus shell. To learn more about the Prevost company check out our About page. We have set up our site for easy navigation but breaking up our ads by both model year along with geographic location. You can click on any of the links on the far right of the page (bottom of page for mobile devices) to see the most recent 10 ads sorted by newest first. You can also use the search box at the top of this page to look for any unique features, trims, etc. This can also include city/area, motorhome length or other mechanical specifications. You will be given any ads that meet the desired criteria. If you have a Prevost Motorhome you would like to list for sale on our site check out our Ad Submission page. Our goal at PrevostForSale.com is to be the best place online and the central source; for seeing all current and past Prevost motorhomes, coaches and buses listed for sale across the United States and Canada. We do this by allowing sellers to post their RVs directly to our site along with reposting ads from popular online classifieds such as Craigslist, RV Trader, Kijiji and eBay. We repost ads to provide a more complete picture of the marketplace and as a service to our visitors in order to save them extra steps in case they may be searching across multiple geographical locations of Craigslist. While we update our seller direct ads daily, we only complete this reposting process on a roughly weekly basis. The timing on this is variable, so be sure to check the last updated date to see the newness of the ad. Just because an ad is old does not mean its sold though. Due to the niche nature and price of these vehicles, some can be on the market for years. One thing we do differently is instead of removing ads from our site we simply mark them as SOLD or No Longer Available. We do this in order to keep record of past listings for both buyers and sellers to get an idea of the fair market value of various Prevost RVs. We do our best to mark ads correctly and in a timely manner however from time to time we do miss certain ads. If you find an outdated or sold listing not marked correctly please let us know on our contact page. We do our best to get the most accurate seller information possible when posting our ads. If the information is incorrect commenting below the post is unlikely to yield positive results. Please contact us and we will mark the ad as No Longer Available. Please note that if you are a seller that would like your personal contact information removed; send us a message and we will do so immediately. Please note our general site disclaimers listed below. Should you have any questions please Contact Us. Information / Ad Accuracy: As many of our ads are reposted from other sources we do our best to maintain the accuracy from the source material. However sometimes during the posting process or because of incorrect information in the original ad, we have missing or incomplete information in our listings. 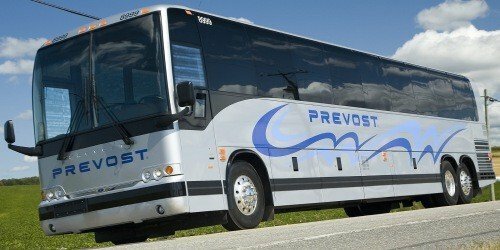 Affiliations and Copyright: PrevostRVForSale.com is not affiliated with nor endorsed by Prevost, Volvo, Craigslist, eBay or any other brand mentioned on this site. Trade names are used here via the Fair Use clause of US Copyright Law.